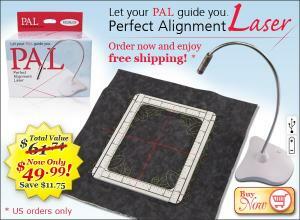 Exact Centering for Embroidery Hoops - Works with any hoop. Perfect for continuous embroidery. 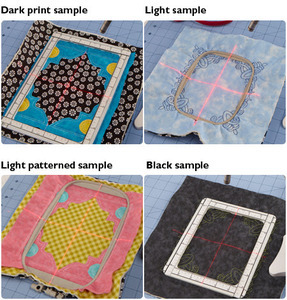 Illuminate your Sewing Path - Position the beam any distance from the needle you desire. Then guide your project down the lighted path for even, crisp seams. Use 3 "AAA" batteries or the USB cable provided to plug into your embroidery machine or computer. Click to watch video demo! - Guide your seam allowance along the lighted path for even, crisp seams. - Makes hooping square a breeze! - Less than 4” square, the weighted base stands firmly at the sewing machine or cutting table. 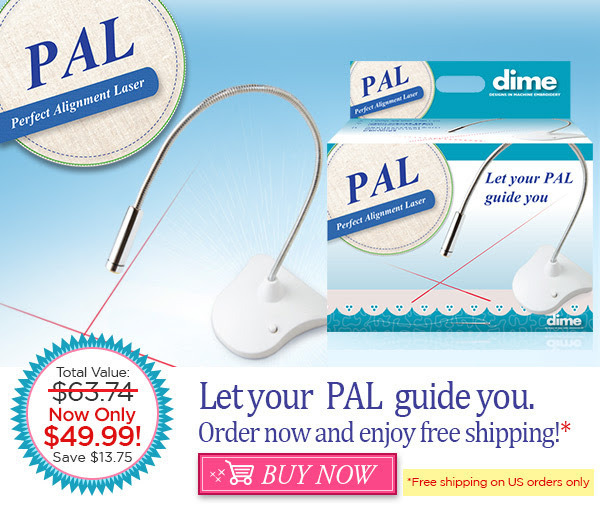 PAL includes: Assembled lamp featuring gooseneck, 3 AAA batteries and a USB connection. Let your PAL guide you. 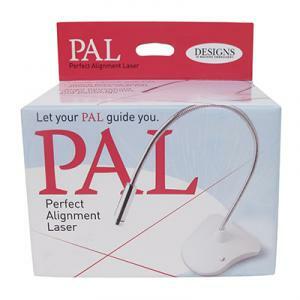 Order the Perfect Alignment Laser and enjoy free shipping! Exact Centering for Embroidery Hoops: Works with any hoop Perfect for continuous embroidery Makes hooping square a breeze! Will the Magna Hoop CD00101 also fit the Bernina Artista 180? There is not an option to save in the ART format. That is because there would be information missing from the file that the Bernina Software puts in the file. This would prevent you from stitching out the design. Love Allbrands and I'm so glad there is one in the lake Charles area!!! Every thing about your company, the way the order was placed, the way it progressed, the arrived condition of the merchandise was perfect in every detail. I always check your website before I make my purchase my past experience purchasing from you has shown that not only do you have better prices but I am always very pleased with your customer support. I tell my friends whenever they are looking to buy a sewing or embroidery item to always check with allbrands first. I always get good service at Allbrands. Prices on items are also good. Shipping is fast also. I have ordered from you before and have been satisfied with yor service and products.